The Kinx the ultimate Kinks tribute band. Within a year of the first unadvertised gig they were headlining theatres and performed on the bill with many legendary bands from the 60’s era. They have performed on the main stages of Britain’s top tribute festivals ……..and secured a recording contract producing three tribute albums on general release (available at iTunes, Amazon, Play.com etc…check the website for information). They are grateful to Dave Davies who has endorsed the group and been most helpful with information to help create an authentic Kinks performance. 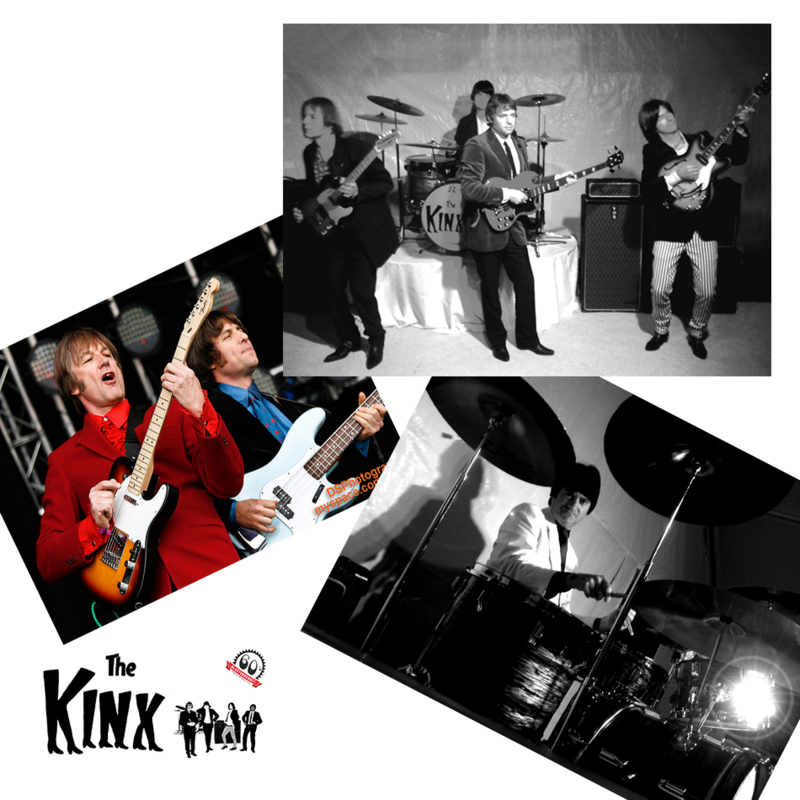 The Kinx are established as the premier Kinks tribute act in the UK and Europe. Ray and Dave Davies’s timeless and iconic classics are brought to life by four passionate Kinks fanatics who recreate the “red jacketed” and innovative ’60s era of the amazing Kinks. The Kinks had 17 top twenty hit singles and 5 top ten albums and were one of the “big 4”; along with The Beatles, The Rolling Stones and The Who.